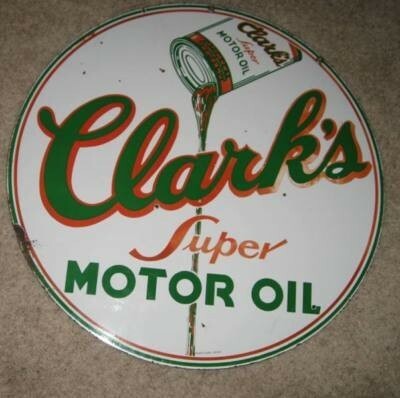 This small sign advertises Clark’s Super Motor Oil. The sign is white, green, and orange and shows a can of Clark’s Super Motor Oil being poured out towards the bottom of the circular sign. Since this sign was smaller, it is most likely a single sided porcelain sign.